Times change, a bond doesn’t. 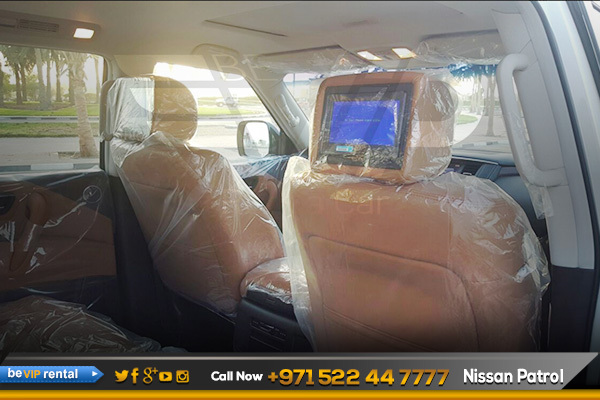 Over the decades, Nissan Patrol has become an inseparable part of the social and cultural fabric of Arabia. 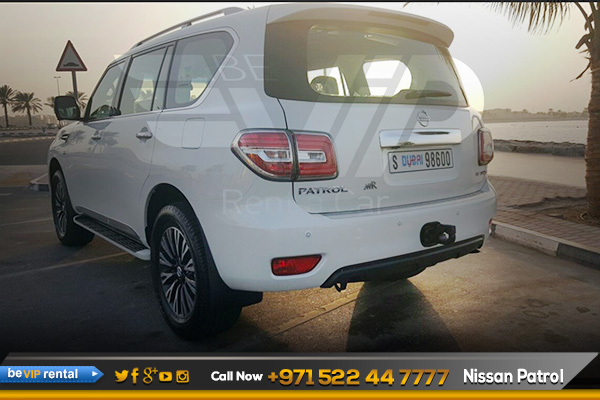 Giving birth to a myriad of heroic tales with its all-conquering performance on the toughest of terrain, the new 2017 Nissan Patrol for rent in Dubai takes the legend to every single terrain in life; adventure to luxury and family life to business. Whichever side of life you may want to conquer, Patrol’s cutting-edge technology and distinguished status will take you there. Same ease and confidence wherever you go. All eyes on you – you always know how to live the grand life and make a grand entrance. 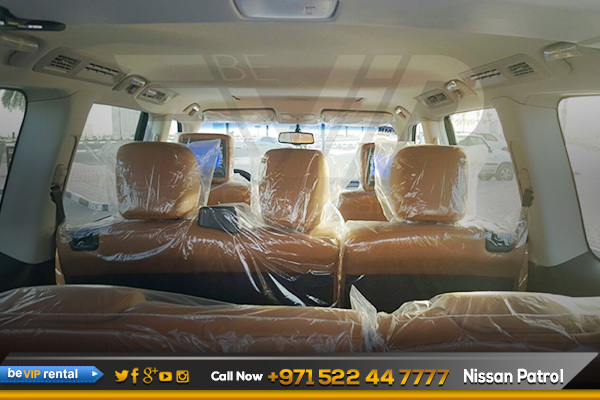 The Nissan Patrol for rent in Dubai from Be VIP is an expression of richly crafted luxury, truly worthy of a flagship. The unmistakably bold exterior design invites you with its powerful and modern lines, while the superior cockpit design of the well-appointed interior provides you with a reinvigorating driving atmosphere. 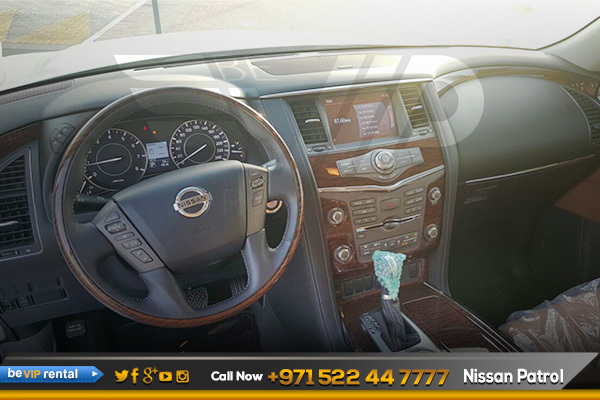 Make your dream come true by driving such an elegance beauty, rent a Nissan Patrol Platinum in dubai. 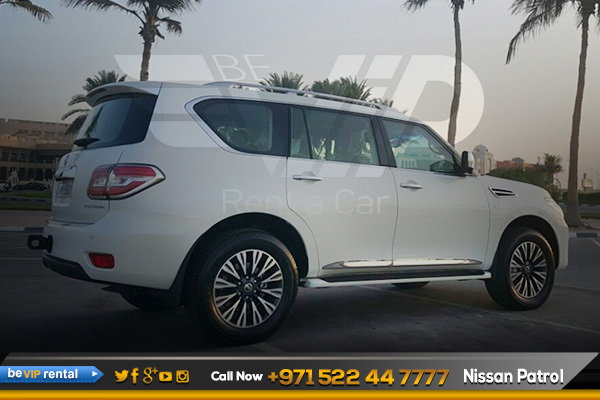 Down the road, we expect to see the powerful Nissan Patrol Platinum from Nissan family. 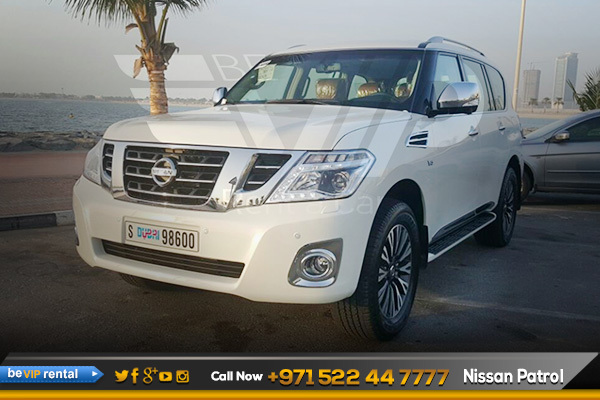 Make it possible for you too, Now we offer Nissan Patrol Platinum rental in Dubai including Nissan Patrol Platinum Rental in Abu Dhabi and all over UAE. Book Now! 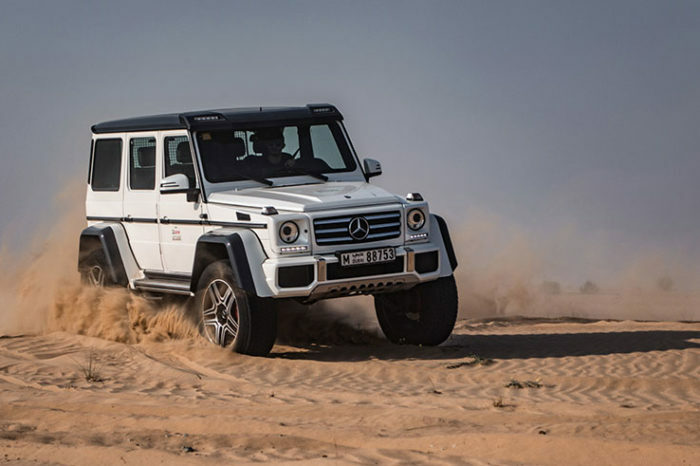 And get an exotic Nissan Patrol Platinum rental in Dubai.